Collages make art fun. 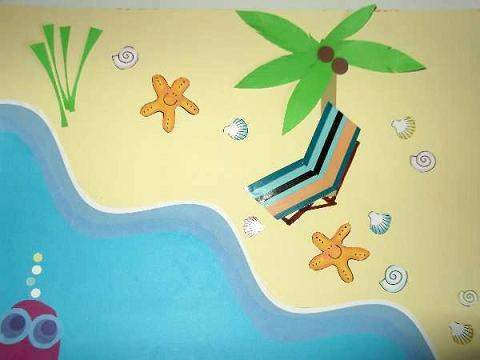 To make a seaside collage, gather any paper source like magazines, wrapping paper, or leaflets that have bright colors and pictures of things you can see and find on the seashore. I have used mainly gift wrapping paper and some thin colored card. Look at the patterns and designs and try and visualize what they remind you off. 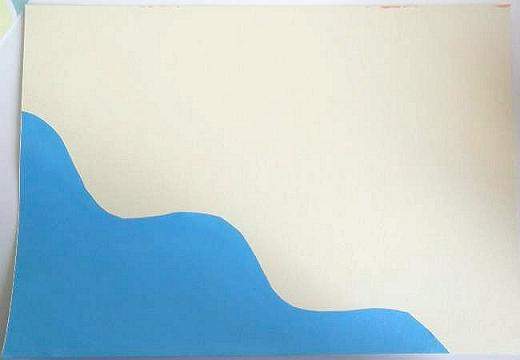 Do you perhaps see a fish, a piece of driftwood, or a shell shape. You can also use real pictures or cartoons of sea life. 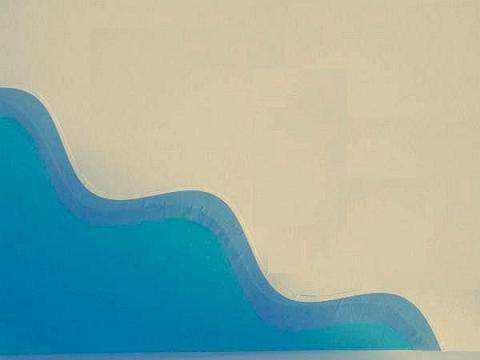 Have you any paper with wavy designs? Could you use it? Follow the tutorial to know just what I mean. Did you notice the paper scraps I collected together? 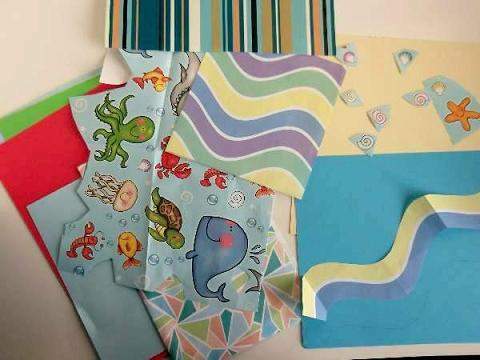 Stripes and lines with the most striking colors go well against the plain background and stand out to make a seaside collage that will look bright. After cutting them out along with other shapes, play around with them and see what transpires. 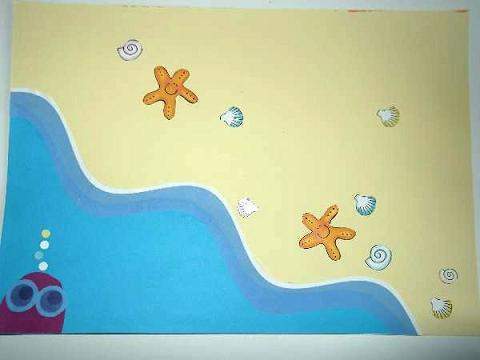 Sea and sand are plentiful at the beach so the background is split up into two spaces using a cream colored card with blue paper in one corner for the sea. Can you see how I used the wavy lined paper after cutting it out? It`s along the edge of the water to look like the surf rolling in with the waves. 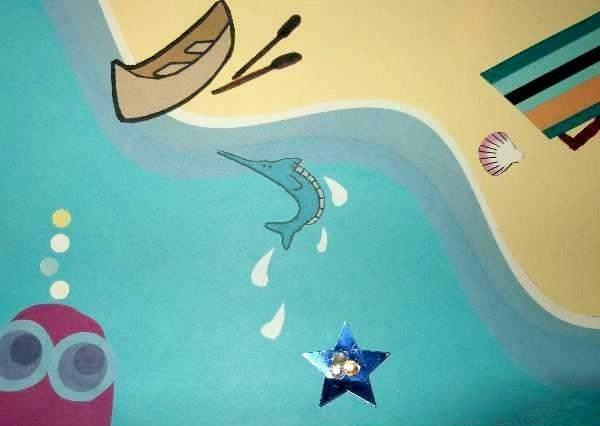 A piece of wrapping paper was useful to cover the beach in sea shells and starfish, but look at that fish! A blue circled gift wrap became a source for the eyeballs and bubbles. Now you can start getting busy filling in. Try drawing and cutting out shapes to stick on. How about a palm tree with coconuts? The coconuts are craft foam circles. Another good use of the stripey paper was to create a deckchair with it and then draw the folding legs. In the background you can see some long strips of green scrap paper that look like some kind of tall reedy plant that lives by the sea. Enjoying the day out on the beach wouldn`t be fun without something to drink. The glass of cool aid here is made from craft felt. The boat is cut from a cartoon picture but the oars are drawn in. Dig deep into your craft box and see what you can use. Add a few creatures in the sea and the collage is done. Fill it up some more if you like with larger shapes. You often see people flying kites or playing on the beach with a bucket and spade or beach ball. The more you add to make a seaside collage the more you will remember your super vacation. But wait a minute! Who is that in the water? It`s Stabber the sword fish! He is one of the characters out of the KKC Treasure Hunt Board Game. 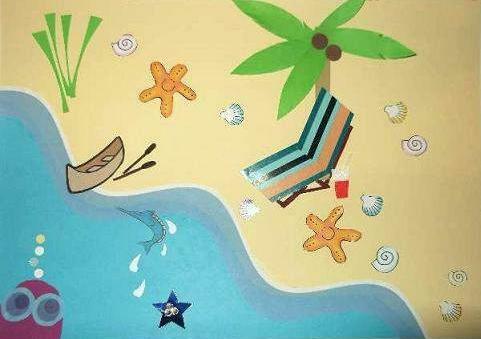 Our purpose was to make a seaside collage that will be used in that game soon to come.